SHARIE KOHLER took her adolescent dreaming one step further and penned her first story in the back of her high school Spanish class. This passion led her to pursue a degree in English and History. After several years teaching, Sharie decided it was time to pursue her long-held dream of writing. 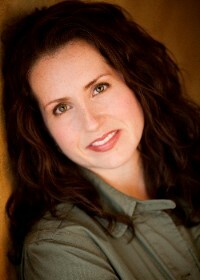 Now a full time author, she also writes historical romances and young adult romances under the name, Sophie Jordan. She believes her decision to write paranormal stems from her long-sustained love of horror movies (big fan of Alfred Hitchcock!) and a good love story. This New York Times and USA Today Bestselling author resides in Houston with her family, juggling deadlines, children, and a husband who loves her cooking. Amid the happy chaos, she finds time to write. You can learn more up to date information about Sharie and her books at her Facebook page or on twitter. © Sharie Kohler. All rights reserved. Graphics and site by Glass Slipper WebDesign.